These vivid markers are ideal for posters, menu boards, and sign-writing. The highly opaque pigment ink can be applied color-over-color on paper, plastic, plastic foam, wood, glass, rubber, acetate, vinyl, metal, and painted surfaces. 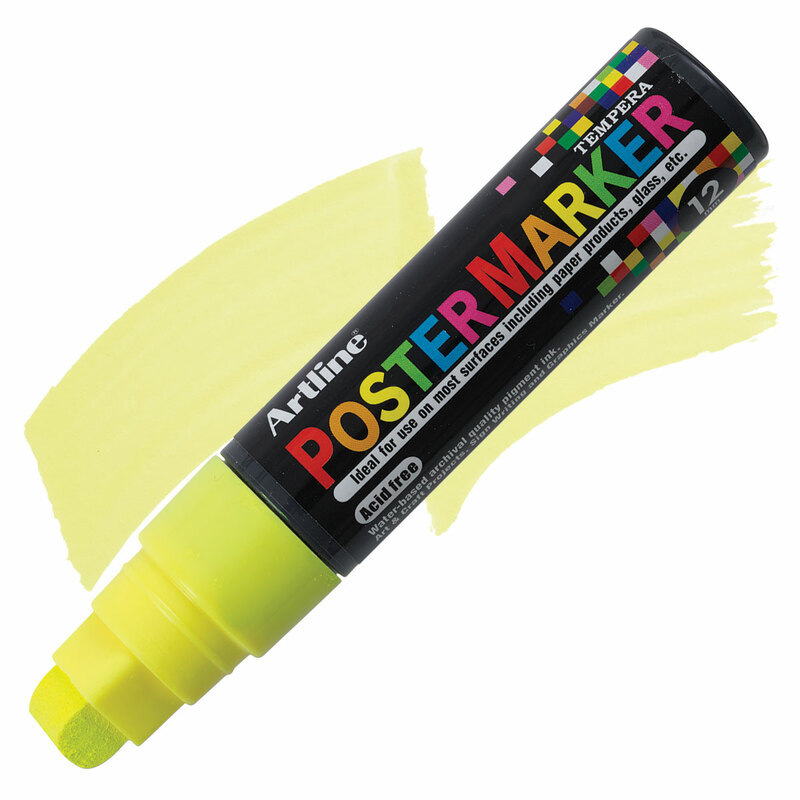 ® Artline is a registered trademark.